'Hidden Card of JYP' ITZY Lia, Mysterious + Fascinating Attractive Teaser Released! Before the official debut of ITZY, the new girl group of JYP Entertainment (JYP), has released the individual teaser of Lia, the ‘Hidden Card of JYP’, in the midst of attracting attention. 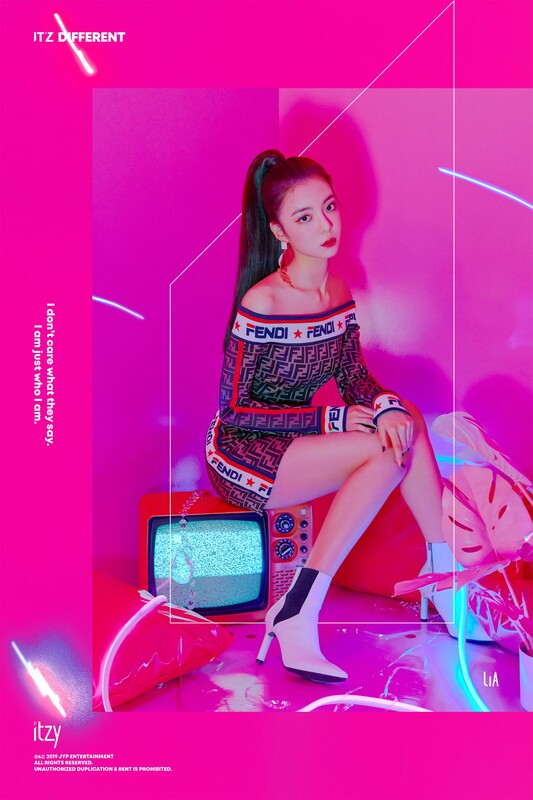 JYP has released 2 kinds of Lia’s individual teaser, which makes public to expect the debut concept of ITZY, through the official website of ITZY as well as its SNS channel. Lia is the owner of the second individual teaser after YeJi released on the 28th. Lia exuded a mysterious and fascinating attractions and attracted the sight of the viewers. The teaser of Lia shows off her beauty with a ponytail hairstyle, and sensualized her sophisticated dress and glittery costume. Compared to other members of ITZY, Lia is covered in veil which made her to be called as ‘hidden card’ and ‘secret weapon’ with the attraction of twisting the slim visual. Expectations are gathering on how she will be playing her role with her twisting character in the group. Meanwhile, JYP is about to release the first album and the debut song sequentially, and is standing out to hold its place as ‘Girl Group House’.